One place you probably might expect to be about as far from a rubbish tip as could be imagined is the middle of the Pacific Ocean. It’s the world’s largest body of water – and it also has the unwelcome distinction of being the planet’s biggest floating dump. Scientists in recent years have made an astonishing discovery of a gigantic ‘plastic soup’ of waste, reckoned to consist of around 100 million tonnes of mostly plastic debris. This floating or semi-submerged slurry is estimated to cover an area of the ocean equivalent to roughly twice the entire land mass of the US. The Hawaiian islands are in the middle of this opaque ‘soup’. Despite its enormous size and extent, its existence has until quite recently remained largely undocumented. It does not, for instance, show up on satellite imagery or aerial photos. An area known as the north Pacific gyre was discovered around 15 years ago by American oceanographer Charles Moore. He was returning from a yacht race when he strayed off course and found himself right in the middle of this floating dump. “Every time I came on deck, there was trash floating by”, he said. “How could we have fouled such a huge area? How could this go on for a week?”. The US National Oceanic and Atmospheric Administration now identifies marine debris as “one of the most pervasive pollution problems facing the world’s oceans and waterways”. Globally, around 300 million tonnes of plastic is produced each year, comprising tens of billions of individual items. Only 10% of this is recycled. That leaves a staggering 270 million tonnes of discarded plastic – over five million tonnes a week. Of this, around seven million tonnes finds its way into the sea each year. Over time, it breaks down into smaller and smaller pieces, until it forms a difficult-to-spot soupy mass of almost microscopic fragments. These tiny pieces are swallowed in huge quantities by a wide range of marine life, which mistakes it for food. A recent US study noted that fish in the North Pacific ingest as much as 24,000 tonnes of plastic mulch a year. 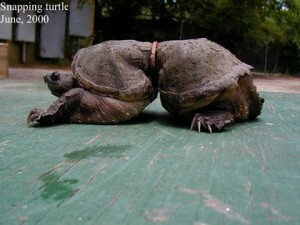 Plastics are for all intents and purposes indestructible and non-biodegradable. Instead, the action of sunlight causes plastic to break into ever smaller particles. As they do so, harmful chemicals such as Bisphenol A (BPA), styrene and phthalates are leached into the water. In humans, these chemicals are known carcinogens; phthalates are also endocrine disruptors, affecting the onset of puberty in girls as well as being linked to breast cancer. Dioxin is formed in the manufacture of PVC, and is internationally classified as a ‘known human carcinogen’. These toxic plastic wastes have been accumulating in the world’s oceans for many decades: material discarded since as far back as the late 1950s and early 1960s is still bobbing about in the oceans, trapped in one of the world’s five major gyres, and being added to daily by mountains of new waste. The UN Environment Programme (UNEP) estimates that plastic debris causes the deaths of over a million seabirds every year, as well as more than 100,000 marine mammals. Syringes, cigarette lighters, toothbrushes and biros have been found inside the stomachs of hapless seabirds, which mistake them for food. Midway Island in the Pacific is 1,200 miles from the nearest major human settlement. It is the breeding and nesting ground for 1.5 million albatrosses. Scientists surveying the island found that every albatross chick they examined has been fed plastic waste, mistaken by its parents for food. One in three albatross chicks is now dying as a result. Plastic makes up around 90% per cent of all rubbish floating in the oceans. Every square mile of ocean on earth contains, on average, 46,000 pieces of floating plastic. A 2012 study published in the journal Biology Letters found that plastic debris in the area popularly known as the ‘Great Pacific Garbage Patch’ has increased an astonishing 100-fold over the past 40 years. Humans are not immune either. Sitting as we do at the apex of the marine food chain, human health is threatened by ingesting fish and other marine foods which have been contaminated by our plastic wastes. Charles Moore is depressed that, despite what we now know, nothing is being done to stop, let alone, reverse, the avalanche of plastic and other debris making its way into the world’s oceans. His solution? “We have to withdraw from the corporate materialistic economy. You can’t work within, it doesn’t work. We have to leave it behind and create local, sustainable communities that have no need for plastics or packaging”, he said. We must “shut down the spigot of stuff we’re making. You don’t bail out an overflowing bathtub without turning off the tap first”.